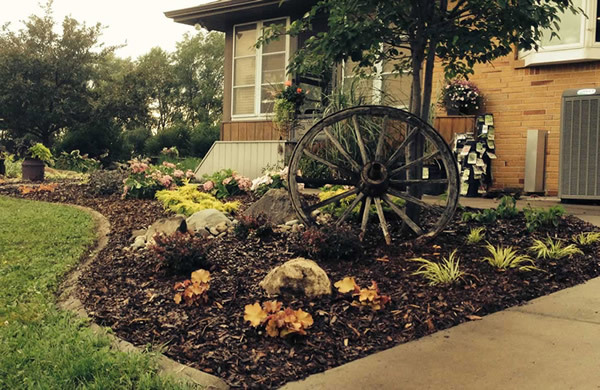 When you contact us, we’ll set up a meeting with you to review your wants and needs and come up with different ideas on how to incorporate these into your landscape to make a functional landscape tailored around you! After the consultation, we’ll work up a design, estimate and detailed picture list of plants and materials, giving you great visuals to bring the design to life. It is important to us to give our customers as much information about the products used for their project, so we can make changes accordingly to finalize our design before the installation process takes place. We give detailed times of when you can expect us to begin and how long the project will take. We REFUSE to job hop, meaning when we come, we do not leave until the project is finished. Hiring only the best of the best for our crew gives our customers an unbeatable service from start to finish. During the whole process our designers work closely with both the crew and our customers to make sure every detail, no matter how small, is taken care of. It is the little details that make a BIG difference in our service, and that is one of the many things that separate us from our competition. We truly care about your project and want to make it the best experience for you, our customer!